Dr Jesse Green is a dentist, entrepreneur, coach and thought leader who specialises in working with established high-performing dentists and industry young guns hungry for success. In an increasingly over-competitive market, he has made an art of helping his elite clients play bigger, better and smarter. In his entrepreneurial journey, he learned how to effectively mix business with pleasure. 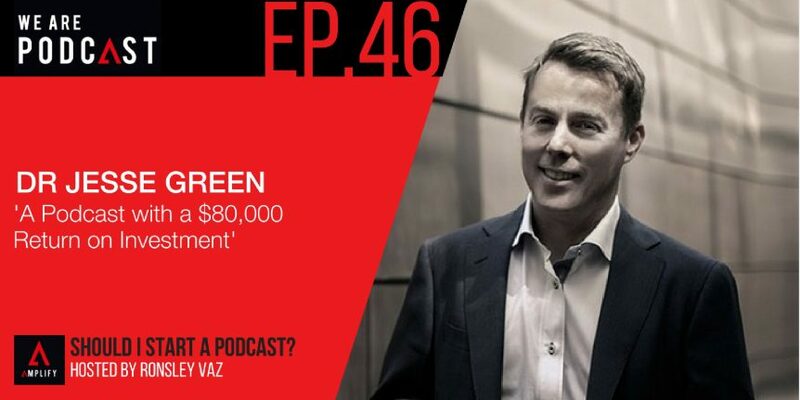 Podcasting as his guilty pleasure, he shares his tips on investing business through podcasting with an $80,000 return on investment. He is the founder of Practice Max, a 7-step high-performance business mastermind that offers the latest in entrepreneurial thinking tools and cutting-edge ideas from the dental and non-dental worlds. He is renowned for creating tailored dental practice management solutions that deliver financial results, top-performing teams and smart systems to free up profits and time for practice owners. Jesse’s ultimate vision: to create a leading entrepreneurial community of dentists in Australia. Drawing on nearly two decades of experience, Jesse is the undisputed authority on practice management for highly motivated and enterprising dentists – a combination he describes as ‘dentalpreneur’. He is the author of the Amazon number one best seller, RETENTION! How to Plug the #1 Profit Leak in Your Dental Practice. How dentistry is changing massively? How podcasting changes his life? How he’s making money out of his podcast show? Why he recommends that people should try starting a podcast? What are the most important things to consider when investing through your business podcast? The first one is having a really interesting conversation with really interesting people. For me, the worth it questions extends beyond the commercial return. It extends to the point of doing what I get to do and enjoying it. That for me is the biggest thing. I’ve had to learn to ask questions and really listen. Equally, I’ve had to learn that some people come into my podcast with an agenda. I need to make sure that we’re having a conversation and they're not just going into pitch mode. So I’ve had to learn the art of elegantly interrupting. It’s hard because you feel like you’re talking over one another, but somehow I’m getting better.